This month there has been a few changes that have seen us rebrand ‘Cyden Dressage’ to now become ‘Lara Edwards Dressage’. This decision was made to reflect my personality and showcase the diverse direction the business has now started to progress towards in respect of training and breeding. We lunged him on the first day and then I got straight on him the second day and he was amazing! He’s certainly a horse who loves to work so I am very excited about our future together. I have also brought Cleo, our homebred mare by Cadans, back into full work and she is super exciting for the future as her movement is top class, although quite hot. I do like them like this as they are sensitive in a good way, hopefully demonstrating their potential for being a top class horse. Jasmine, our homebred three-year-old, who is full sister to Cleo, has gone off to be broken in too, so next month I will be able to report more on her progress. 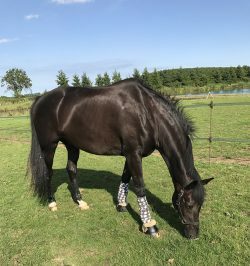 Felix has come back into work after cutting his leg in the field so I am thrilled to be able to get him back to full fitness, ready for taking him out at Small Tour level at the end of the year. Our trip to the regionals with Bodyguard didn’t quite go to plan as unfortunately the back wheel on the lorry locked on the way to Port Royal, making it unsafe for me to keep driving. Feeling disappointed, Jess and I had to return home. Although frustrated, I have to be pleased with already getting our golden ticket to the Nationals by winning at Prix St Georges level at Sheepgate Premier League but it would have been nice to have got there at Inter 1 too. This month also marks a point in history for Dad’s homebred horses; having sold the very first one we bred to long-time friend, Rebecca Stephens, to be trained and competed by Kate Lewis. Both Kate and Rebecca have been looking for their next super star for quite a while, even travelling abroad with no success, when they were told about our homebred horses. I was over the moon when they came to try them and they really liked both of the two smaller ones. Breeding for us really is exciting, especially when it’s not only using our quality mares but also my very own stallions too, and ending up with top class movement recognised not only by myself but also other well-known and respected dressage riders. Recently we have had two lovely girls helping out on the yard, Amy and Heidi. Both of them have been a valuable part of the team helping with exercising and general care of all the horses. 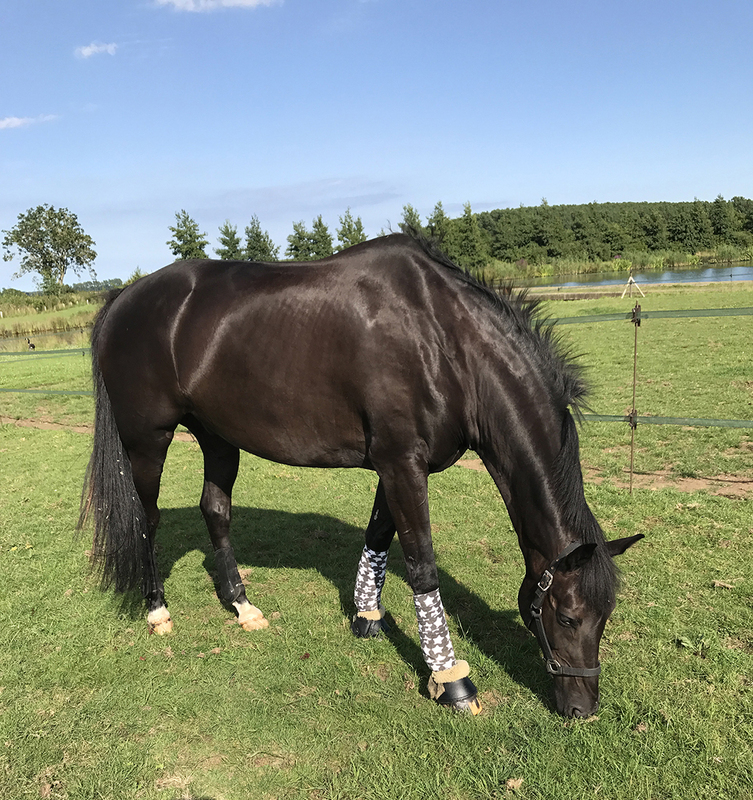 Heidi has come over from Dubai for a few weeks in her summer holidays and although only young she has been riding Chanel, a four-year-old by Cadans and loving every minute of it!